This quilt is easy enough for a beginner. 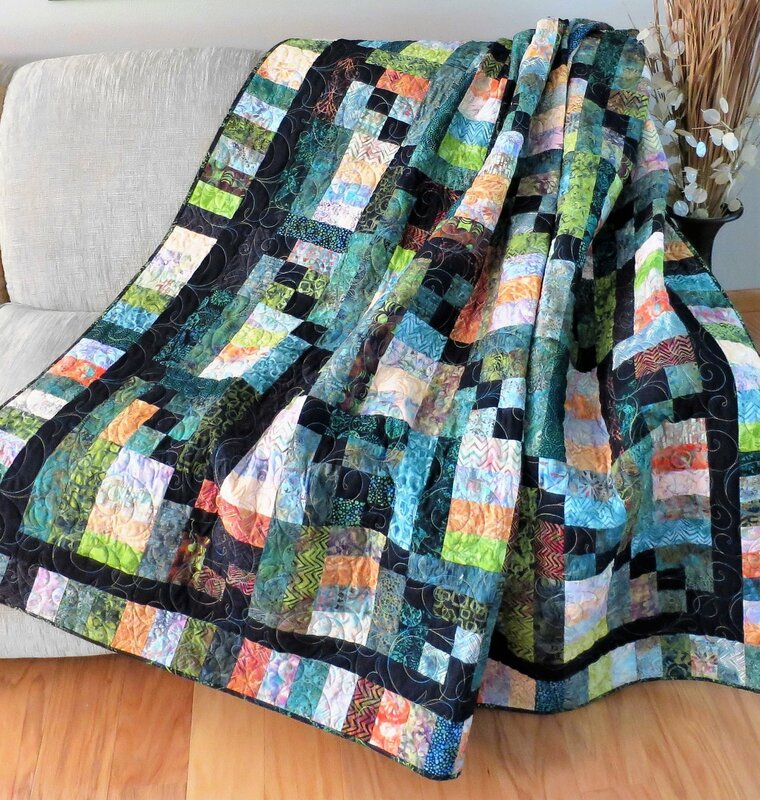 Very easy quilt to make and because you can buy pre-cut 2½" strips, it goes even faster. Of course, you can cut your own 2½" strips from your stash, also. I have given you all the yardages for pre-cuts and for using scraps from your stash. I also show you how to chain stitch two blocks at the same time.